China has ordered foreign fishing vessels to obtain approval from regional authorities before fishing or surveying in two thirds of the South China Sea, setting up the potential for new confrontations between Beijing and its neighbors over maritime sovereignty claims to disputed islands. The new orders went into effect Jan. 1 after they were issued late November by Hainan island provincial government authorities. 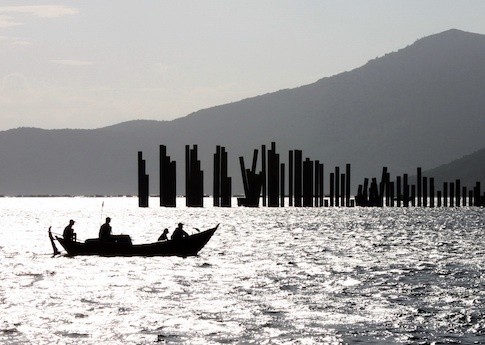 Under the new regulations, all foreign fishing boats that transit into a new Hainan’s administrative zone in the sea—an area covering two-thirds of the 1.5 million square mile South China Sea—must be approved by Chinese authorities. The new measures were imposed Nov. 29 and announced Dec. 3 in state media as part of a policy of enforcing Chinese fisheries law. Chinese law states that any ships that violate the fishing regulations will be forced out of the zone, have their catch confiscated, and face fines of up to $82,600. In some cases, fishing boats could be confiscated and their crew prosecuted under Chinese law. It is the first time China has made a clear legal claim to disputed fishing grounds claimed by Vietnam, Philippines, Malaysia, Brunei, and other states in the region. A Chinese maritime patrol boat struck a Vietnamese fishing boat Jan. 3 near the Paracel Islands in the first incident under the new rules, according to Vietnamese state media. The Chinese used Tasers and batons to subdue the fishermen and confiscated their 5-ton catch of fish along with fishing equipment. The incident was reported on the website Fishermen Stories. The new South China Sea fishing rules have not been disclosed publicly outside China. At stake in the dispute are key issues of international freedom of navigation, and China’s attempt to seize and control waters known to contain large fishing grounds in addition to untapped reserves of oil and natural gas. China imposes fishing curbs: New regulations imposed Jan. 1 limit all foreign vessels from fishing in a zone covering two-thirds of the South China Sea. China last month set off an international imbroglio with Japan, Philippines, South Korea, and the United States by declaring an air defense identification zone over the nearby East China Sea. Japan rejected the Chinese claims for the air defense zone. The Pentagon ordered two nuclear-capable B-52 bombers to fly through the zone in a challenge to the Chinese claims. Then last month a U.S. Navy guided missile cruiser nearly clashed with a Chinese warship in the South China Sea near Hainan island, as the U.S. ship, the USS Cowpens, monitored Chinese naval maneuvers. A State Department spokesman had no comment. "A Chinese embassy spokeswoman had no immediate comment." Secretary of State John Kerry said in Manila Dec. 17 that the United States wants maritime disputes in the region resolved peacefully. "We strongly support ASEAN’s efforts with China to move quickly to conclude a code of conduct as a key to reducing the risk of accidents or miscalculation," he said. "In that process, we think that claimants have a responsibility to clarify their claims and to align their claims with international law." Kerry said the East China Sea air defense zone should not be implemented and warned China to "refrain from taking similar unilateral actions elsewhere in the region, and particularly over the South China Sea." Chinese state media have reported that due to the international backlash over the East China Sea zone, China is unlikely to declare a similar air defense zone in the South China Sea. The no-fishing zone over two thirds of the South China Sea appears to be China’s effort to bolster its maritime sovereignty claims in that sea. Analysts say the new Chinese fishing rules are likely to trigger larger disputes among China and other Southeast Asian states. "This is truly significant, but not unexpected," said former State Department official and China affairs expert John Tkacik. Tkacik said declaration of the new Hainan maritime zone appears to be part of a policy by China of gradually tightening controls in the region. Earlier, Beijing had declared the entire South China Sea as its territory under a vague "Nine-Dash Line" covering the sea that Beijing claimed as an exclusive economic zone. "Beijing is now stepping beyond its previous vagueness on the legal status of the ‘Nine Dash Line' to promulgating a ‘provincial measure' to see what the push-back is," he said. 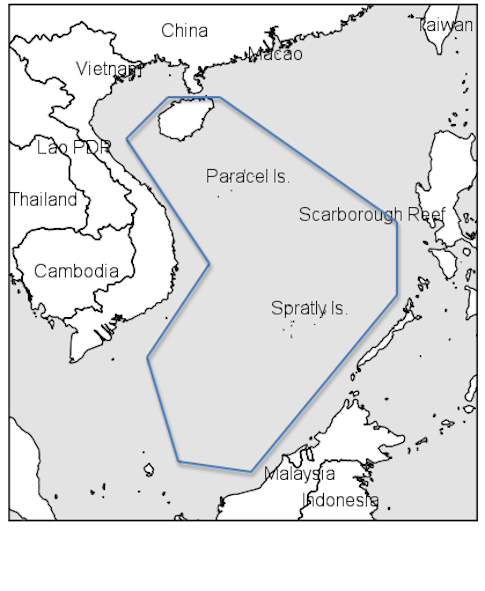 Declaration of the new Hainan fishing zone also appears to be designed to gradually force Southeast Asian states, Japan, and the United States to accept Chinese maritime encroachment. Vietnam and China clashed militarily several times in the past 30 years over the Paracel islands, which are included in the new zone. Chinese ships fired on two Vietnamese fishing boats in 2005, killing 9 people. Video from Vietnam posted online several years ago also showed Chinese patrol boats firing machine guns at Vietnamese fishermen near the Paracels. Additionally, Chinese naval vessels have confronted the Philippines over its claims to the Spratly islands, also located within the new Hainan no-fishing zone. Other disputed fisheries in the Hainan zone include the Macclesfield Bank, located east of the Parcels, and Scarborough Shoal, near the Philippines’ Luzon Island. China also has harassed U.S. intelligence-gathering ships in the South China Sea during the past several years. The South China Sea was the scene of a U.S.-China military confrontation Dec. 5 when a Chinese navy tank landing ship sailed and stopped some 100 yards in front of the USS Cowpens, a guided missile cruiser. Defense Secretary Chuck Hagel called the Chinese attempt to stop the Cowpens "irresponsible" and said the incident could have triggered a larger military showdown. Tkacik said Southeast Asia states could challenge the new no-fishing zone through the United Nations Convention on the Law of the Sea. "China is clearly flouting [the convention] with this announcement," he said. Beijing will likely deflect criticism of the no-fishing zone by claiming it was initiated by a regional government and thus is not part of national policy. However, China is not likely to rescind the rules and could initiate similar fishing restrictions in the East China Sea. U.S. policymakers appear to believe that the U.S. Navy is sufficient to maintain and defend U.S. maritime rights under international law, without the U.N. Law of the Sea convention, Tkacik said, noting that while Japan has signed up to the convention, the United States has not. "As China's navy grows stronger—and the U.S. Navy shrinks—Washington's options will run out in a few years," he said. "I don't know that anyone in Washington, either at State or the Pentagon, is thinking this challenge out beyond a year," he added. "It is America's misfortune that it no longer has any real maritime strategists." This entry was posted in National Security and tagged China, Chuck Hagel, Japan, John Kerry, Military. Bookmark the permalink.